Pitchers and catchers report in six days but already several Yankees are in Tampa preparing for the upcoming season. Bryan Hoch has a list. Among them is concussion-free Clint Frazer (video). “It’s been a long road. I’m just happy to be here and ready to go out there and make up for the time that I’ve lost,” he said to Mark Didtler. Here are injury updates on two prominent Yankees. Sir Didi Gregorius is set to begin a throwing program this week, he told Ron Blum. Aaron Boone said the same to Coley Harvey. There is still no firm timetable for his return and Gregorius confirmed he will not return early as a DH. “I want to be back completely. I just want to make sure everything’s all right before I go out there. I haven’t even thought about hitting before everything,” he said. 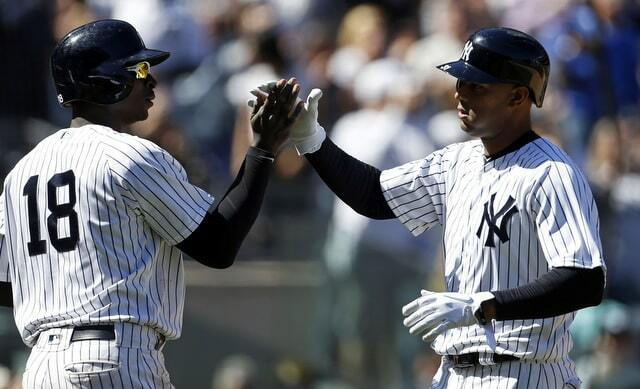 Gregorius had his Tommy John surgery on October 17th and he resumed baseball activities last month. Specifically, he is taking one-handed swings and fielding grounders. The typical elbow reconstruction throwing program lasts several weeks. They start out at very short distances and gradually stretch it out. Gregorius joked he’ll be ready to return in April but that’s not happening. So far so good with his rehab though. The throwing program is a significant step. Following offseason shoulder surgery, the Yankees will ease Gary Sanchez into things during exhibition play, Boone told Blum. “We may slow play him a little bit the first week of Grapefruit League games,” the skipper said. The Yankees did the same thing with Aaron Judge last year, remember. He had offseason shoulder surgery and sat out the first five Grapefruit League games. The Yankees didn’t want to push him too hard early in camp. “I’ll be ready for Spring Training,” Sanchez said to Greg Joyce. He has started hitting in the cage, and Bryan Hoch says Gary will catch James Paxton’s bullpen session tomorrow, so it seems his recovery is going well. Sanchez had surgery on his left shoulder, so his throwing should be fine. The left shoulder is his front shoulder when hitting though, the power shoulder, and that’s not something you mess around with. Take it slow with Sanchez now because missing a few games in February and March is preferable to missing games at any point from April through September. Pitchers and catchers report in less than three weeks and the first Grapefruit League game is four weeks from tomorrow. One month until glorious, glorious baseball. Here are some miscellaneous links and notes to check out in the meantime. 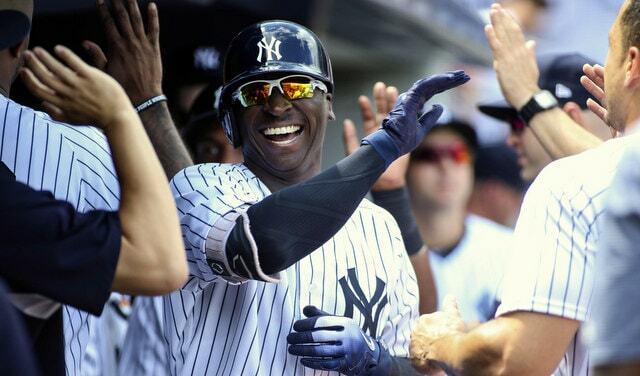 Didi Gregorius has started limited baseball activities as he rehabs from Tommy John surgery. He is taking one-handed swings and fielding grounders without throwing. It’s not much, I know, but he has to start somewhere. Gregorius is progressing well enough that he’s getting his swing in order and having batted balls hit at him. That’s not nothing. Soon he’ll get his rebuilt elbow involved. Sir Didi had his Tommy John surgery on October 17th. Position players typically have a shorter recovery time than pitchers and everyone involved says Gregorius will play this season. We just don’t know when, exactly. Brian Cashman has indicated the Yankees will let Gregorius complete his rehab before bringing him back. They’re not going to cut corners and let him DH a la Shohei Ohtani. Troy Tulowitzki and DJ LeMahieu give the Yankees some insurance here, but the sooner Didi returns, the better. Rivera to take on expanded role with Yankees? During a recent radio interview, new Hall of Famer Mariano Rivera revealed he will be “teaching pitching” with the Yankees in some capacity. “I’m going to start working with the New York Yankees and teaching pitching. So many guys throw hard but don’t have command. We need to teach these boys to pitch. Pitchers are getting away from pitching and are focused on throwing hard,” Rivera said. For what it’s worth, the Yankees have not formally announced a role for Rivera, and Andy Martino says the two sides have not yet discussed an expanded role in the organization. Mariano serves as a guest instructor in Spring Training each year and that’s pretty much it, as far as we know. I’m certain the Yankees will happily bring Rivera aboard in an expanded role, and it sounds like Rivera is ready to do it. Right now, there is no formal arrangement in place. I’m guessing there will be one soon. According to Ron Blum, MLB has proposed changes to the disabled list and optional assignments that would make it more difficult for teams to manipulate their roster. Specifically, the league wants to go back to a 15-day DL, and they want players to spend at least 15 days in the minors before they are eligible to be recalled. Right now they have to wait ten days (unless there’s an injury). The MLBPA has not yet agreed to the proposal and it’s unclear if they will. Disabled list trips have increased more than 30% since the league switched from a 15-day DL to a 10-day DL. Some of that is due to legitimate injuries and some of it is due to teams manipulating their roster. Specifically, clubs will put a starter on the 10-day DL to essentially skip a start for extra rest without playing shorthanded. Also, having to wait 15 days to recall a player rather than ten will throw a wrench into bullpen shuttles and the opener strategy to some degree, since many multi-inning relievers are send down immediately after being used. Adding the extra five days to the disabled list and optional assignments could have a big impact. Al Leiter will not return to the YES Network broadcast booth this season, reports Andrew Marchand. He’s leaving to spend more time with his family. “I’m grateful for my 12 years. It was a family. I know it sounds like BS, but it is true. It is hard to leave. It is more about being able to see (my son and three daughters) doing their things,” Leiter said. Marchand says YES will not hire a new analyst to replace Leiter. They’ll give his games to others already on staff. Leiter’s son Jack is a high school senior and a top 2019 draft prospect. MLB.com currently ranks him as the 20th best prospect in the draft class and says he has a “solid four-pitch mix and knows what to do with all of his offerings.” I imagine Al wants to be around for what will be a very important year for Jack. Marchand says the decision was a surprise — Leiter was scheduled to increase his YES workload this year — but it’s understandable. I enjoy Leiter in the booth. I’ll miss him. Today is an important date on the offseason calendar. Today is the deadline for teams and their arbitration-eligible players to file salary figures with the league. The player files what he believes he should be paid in 2019. The team files what they believe the player should be paid in 2019. Pretty straightforward, right? There is a lot of money on the line today around the league. Most arbitration-eligible players will agree to 2019 contracts today. Only a handful will actually file salary figures. The two sides can still work out a contract of any size even after filing salary figures, but most teams employ a “file and trial” approach, meaning once they file numbers, they cut off contract talks and go to an arbitration hearing. That’s designed to put pressure on the player to sign. If the two sides do go to a hearing, they will each defend their filing number and state their case to the three-person panel. It can get ugly. Jeff Passan says the Red Sox played a Kris Bryant highlight video during their hearing with Mookie Betts last year to show the panel Betts is not as good as Bryant, and didn’t deserve a similar salary. Ouch. (It didn’t work. Betts won.) The panel will ultimately pick either the salary the player filed or the salary the team filed. Nothing in between. The Yankees have a massive arbitration class this season. Not only do they have nine arbitration-eligible players, those nine players combine for over $50M in projected salary in 2019. Last year’s nine-player arbitration class ran only $29.2525M in actual salary. This year’s arbitration class could come close to doubling that. Arbitration-eligible players could chew up more than a quarter of the $206M luxury tax threshold. As a reminder, players with 0-3 years of service time are pre-arbitration-eligible and teams can pay them pretty much whatever they want. Players with 3-6 years of service time are arbitration-eligible. (Severino is a Super Two and will be arbitration four times instead of the usual three. Here’s a Super Two primer.) Players with more than six years of service time are eligible for free agency. The Yankees have been to one arbitration hearing in the last ten years (Betances in 2017), and, for the most part, they get their players signed before the filing deadline. They have had a few negotiations continue beyond the filing deadline, most notably Aroldis Chapman in 2016. Generally speaking though, the Yankees get their guys signed before the salary filing deadline. They’ll be busy today given their sizeable arbitration class. It’s worth noting one-year contracts for arbitration-eligible players are not guaranteed. These players can be released in Spring Training and owed only 30 days or 45 days termination pay, depending on the exact date of the release. Chances are none of them will get released in camp. It doesn’t happen often. Kahnle seems most at risk of a Spring Training release should he show up to Tampa with his velocity still missing. Anyway, the salary figure filing deadline is 1pm ET but news is going to trickle in through the day. The Yankees tend to announce everything all at once at the end of the business day, so official confirmation is still a few hours away. Here’s the latest contract news for arbitration-eligible Yankees. Check back throughout the day for updates. 12:00pm ET: According to Bob Nightengale, the Yankees and Bird have agreed to a one-year deal worth $1.2M. Bird has played in only 130 of 486 possible games the last three seasons, though he was accruing service time while on the Major League disabled list, so he’s arbitration-eligible. 12:00pm ET: Romine and the Yankees have agreed to a $1.8M salary for 2019, reports Nightengale. Thus far both signings come in a tick below the MLBTR projection. Probably just a coincidence, but, given the state of free agency, I can’t help but wonder if teams are putting the squeeze are arbitration-eligible players too. 12:57pm ET: Hicks gets a $6M salary for the coming season, according to Nightengale. Another below projection number. Hmmm. The big question now: Will the Yankees and Hicks discuss a long-term extension at some point, or is this it until he becomes a free agent after the season? 4:12pm ET: Jeff Passan reports the Yankees and Luis Severino did not agree to a contract before the 1pm ET deadline. They’re expected to go to an arbitration hearing. No word on their salary filing figures yet. Those will come out eventually. 5:25pm ET: The Yankees and Betances agreed to a one-year deal at $7.25M, reports Sweeny Murti. That is well-above the MLBTR projection. Good for Dellin. Of course, the Yanks beat him in arbitration a few years ago, so his salary is lower than what it could’ve been. 5:52pm ET: The Yankees have agreed to one-year contracts with all their arbitration-eligible players except Severino, the team announced. We’re still waiting on Severino’s filing numbers as well as salary numbers for Gregorius, Paxton, Gray, and Kahnle. 9:55pm ET: Ron Blum says Gregorius received $11.75M, Paxton received $8.575M, and Gray received $7.5M. So much for the Yankees getting Gregorius at a discount while he rehabs from Tommy John surgery. Also, Severino filed for $5.25M while the Yankees countered with $4.4M. Arbitration hearings will take place in February. Still no word on Kahnle’s salary. Saturday, 10:12am ET: Blum’s story has been updated to include Kahnle’s salary. He gets $1,387,500. Seven of the eight arbitration-eligible Yankees who signed yesterday signed below their MLBTR projection, with Betances the lone exception. Those eight players combine for $45.4625M in salary, so, even if Severino wins his hearing, this year’s class comes in at roughly $2.5M below the projection. There is an important deadline coming later this week. This Friday is the deadline for teams and their arbitration-eligible players to submit salary figures for 2019. The player files what he believes he should be paid in 2019 and the team files what they believe he should be paid in 2019. If the two sides are unable to reach a contract agreement, they’ll go to an arbitration hearing, and the panel will pick one of the two filing figures. Nothing in between. Generally speaking, most arbitration-eligible players agree to a new contract before filing salary figures. The filing deadline is not a hard deadline — the two sides can still discuss a contract of any size after filing — though more and more teams are adopting a “file and trial” approach. That means once the two sides file salary figures, the team cuts off contract talks and they go to a hearing. It’s designed to put pressure on the player to sign. The Yankees have a very large arbitration class this year. They came into the offseason with nine arbitration-eligible players combining for $45.1M in projected salary. Subtract Ronald Torreyes and add James Paxton, and it jumps to $53.2M. That’s a lot. Last year’s arbitration class ran $29.235M even when including Adam Warren’s full salary. A significant chunk of the 2019 payroll will be allocated between now and Friday. For the most part the Yankees sign all their players prior to the filing deadline. They’ve been to one arbitration hearing in the last ten years (Dellin Betances in 2017) and only a handful of times have they had to go beyond the filing deadline to get a contract done. Most notably, they didn’t sign Aroldis Chapman until a week before his scheduled arbitration hearing in 2016. That was a month after the filing deadline. In all likelihood the Yankees will work out contracts with their nine arbitration-eligible players prior to Friday’s filing deadline. That’s usually how it goes. These talks are pretty straightforward. 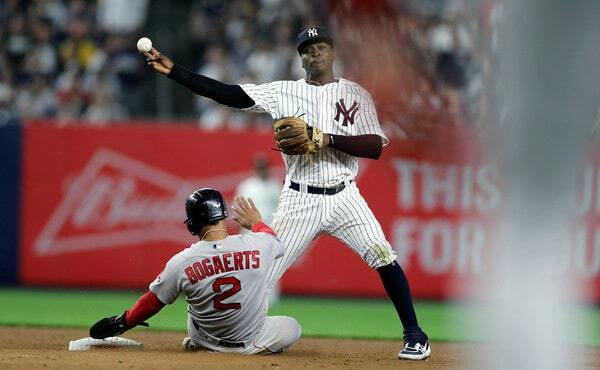 There is one obvious exception though: Didi Gregorius. Gregorius will miss the start of the coming season as he rehabs from Tommy John surgery and paying him his full $12.4M projected salary doesn’t make a whole lot of sense. The Yankees figure to push for a discount. Gregorius will go into contract talks with more leverage than the average arbitration-eligible player. Arbitration is an archaic process that pays based on past performance, not expected future performance, and Sir Didi has been among the most productive shortstops in baseball the last three years. His Tommy John surgery won’t cost him because he hasn’t missed any time with it yet. Had he missed last season with the injury, yeah, it would’ve cost him. He didn’t though. By rule, teams can only reduce a player’s salary to 80% of his previous year’s salary. Gregorius earned $8.25M last year so the absolute minimum the Yankees can pay him this coming season is $6.6M. The thing is, no player has ever had his salary reduced by an arbitration panel, and it won’t happen for the first time with Gregorius. He’s been too productive. Gregorius will get a raise. The question is how large a raise? The Yankees surely want to sign Gregorius to something less than his projected $12.4M salary, though they also have to be careful not to file a salary figure too low. If they do, they run the risk of the panel siding with Didi should they go to a hearing. And this works both ways. The Yankees could force Didi to defend his higher number in a hearing, but he has the stats, and he hasn’t missed any time with Tommy John surgery yet. As long as he and his agent don’t file something unreasonable, they’ll be in good shape. The Yankees could’ve non-tendered Gregorius earlier this offseason, which would’ve put him into free agency and freed them from the 80% rule and the other arbitration system rules. It’s easy to say the Yankees should’ve non-tendered him and re-signed him at a reduced salary. The problem there is Gregorius is a very productive 28-year-old shortstop. Even with Tommy John surgery and even with the frigid free agent market, I reckon several teams would’ve pursued him. Realistically, I don’t think the Yankees would’ve been able to retain Gregorius at a reduced salary following a non-tender. I think he would’ve beat his $12.4M projection in total dollars on a guaranteed multi-year contract worth something more. Two years and $20M, something like that. The best and safest way to keep Gregorius was to tender him a contract and negotiate a new deal, not open things up to a potential free agent bidding war, so that’s what the Yankees did. Anyway, Friday’s filing deadline seems more urgent for the Yankees than Gregorius. If they want to get Gregorius at a reduced salary — to be clear, by reduced salary I mean a smaller than projected raise, because a raise is inevitable — the best way to do that is to get him to agree to a contract beforehand. Getting a reduced salary through arbitration will be tough because, again, Gregorius has the stats, and he hasn’t missed time with his injury yet. Brian Cashman has said he hopes to retain Gregorius long-term. That’s great. We all love Didi and want him to wear pinstripes as long as possible (right?). I would totally understand the Yankees waiting until Gregorius returns just to make sure he’s the same player following Tommy John surgery to offer a long-term contract. I also think the looming arbitration salary filing deadline could push the Yankees to get a deal done now, because it might be their last chance to get any sort of injury-related discount. Personally, I think the most likely outcome here is a one-year contract at the $12.4M projected salary or thereabouts. Gregorius doesn’t have much of a reason to take a big discount — again, he can simply take the Yankees to arbitration and make them defend their lower number against the stats — and that could push the Yankees to get a multi-year deal done. It might be their only way to get a lower than projected 2019 salary. And, with the filing deadline coming, time is running out on their ability to negotiate without any other numbers out there. Finally, some good injury news this offseason. Didi Gregorius, who underwent Tommy John surgery on October 17th, is progressing well with his rehab and is on track to return sometime next season, he told Ken Davidoff over the weekend. We still don’t know when he’ll return, exactly, but the expectation is Gregorius will play for the Yankees at some point in 2019. It has only been two months, but so far Gregorius feels strong, and that’s pretty much all we could ask for at this point. There is still a long way to go in his rehab work and, not surprisingly, Brian Cashman said the Yankees will be cautious with Gregorius. They’re not going to rush his rehab work or push him aggressively to get back as quickly as possible next season. The “we would like it to be with us” line is noteworthy. A few weeks ago Cashman said he’ll discuss a long-term contract extension with Gregorius (and Aaron Hicks and Dellin Betances) this offseason because he will be a free agent next year. Even with this Tommy John surgery, a soon-to-be 29-year-old shortstop who is an above-average producer on both sides of the ball and a fan favorite is worth keeping around. On one hand, I could understand the Yankees wanting to wait to see how Gregorius comes back from his elbow reconstruction before handing him a long-term contract. Tommy John surgery has a very high success rate but it is not perfect. On the other hand, it could be that the longer the Yankees wait, the less likely it is Gregorius takes an extension because he’ll be that much closer to free agency. There might even be a discount now because of the injury. The important thing right now is Sir Didi’s rehab and health, and making sure he’s in the best possible position to come back and help the Yankees next year. Aside from a Manny Machado signing, which is possible but not necessarily likely, there’s almost nothing the Yankees can do to upgrade or even hold steady at shortstop next season because guys like Gregorius are hard to find.